Social media giant Snapchat and streaming service Netflix have joined in on the Indian Premier League furore this season, partnering up with several big league teams in the Twenty20 tournament. 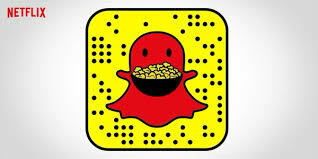 Snapchat has joined hands with the Mumbai Indians, Royal Challengers Bangalore, Delhi Daredevils and the Rajasthan Royals for the upcoming season. All four teams are each set to have their own official account on Snapchat and will appear on Snapchat’s ‘Discover’ page, allowing the 300 million plus users of the photo and video sharing platform exclusive glimpses into life behind the scenes of an IPL tournament via its ‘Stories’ feature. This is Snapchat’s first ever engagement with a sporting event in India, making it a milestone moment for Indian sports coverage. Meanwhile, Netflix has launched a new sports documentary centred on three-time IPL champions, the Mumbai Indians. The series is being produced by Condé Nast Entertainment, showcasing the team in action both on the field and behind the scenes, in an original unscripted eight-part documentary series. The documentary will be a Netflix exclusive, available to stream in 190 countries.